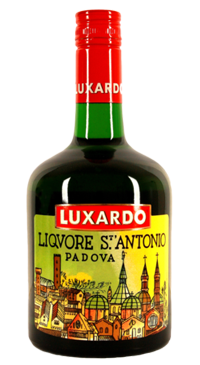 This unique speciality named after St. Anthony, the patron saint of Padova, is prepared from an infusion of herbs including angelica, achillea, galanga root and bitter oranges. 40% alc vol. It is dark green in the glass with an intense herbal nose. The palate is spicy and warming, resinous and pronounced and intense in flavour.